Last week we talked about how the iGen is showing a great deal of promise as they begin to enter the workforce. Today we want to look at the opposite end of the spectrum—namely the baby boomers and beyond—to show just how much value they are still able to bring to the table. Hopefully your organization isn’t one of the many that has fallen into the unfortunate age discrimination trap; because if you’re pushing your older workers out the door, you’re losing some of your best resources. 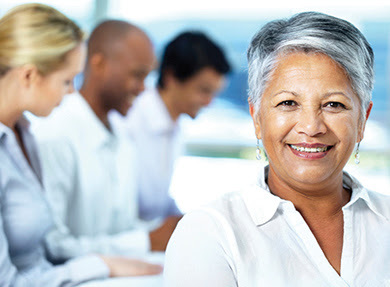 Some of the negative stereotypes of workers in their 50’s, 60’s and older include things like not being able to handle change; being resistant to new technology; not working well with younger employees; slower to understand things; too tired and burned-out to consistently perform well; and are less creative and productive than younger workers. However, according to Peter Cappelli and William Novelli, coauthors of the book Managing the Older Worker, the reality is that job performance actually improves as we enter those higher ages. These stereotypes are just unfounded. Of course, as with any age, older workers need to stay current. That means keeping your computer skills sharp, making good use of social media, staying on top of trends in your field, and staying in touch with contacts. In fact, reaching out to as many acquaintances as possible, like college alumni, past coworkers and members of relevant professional organizations, is more important in today’s employment marketplace than ever before. And, last but not least, staying active also goes a long way in keeping both mind and body strong. Rather than pushing older workers out the door, we should be encouraging them to stay – and to introduce us to their friends.